America's Got Talent advanced seven more acts to the semifinals during Wednesday night's Season 12 episode on NBC. 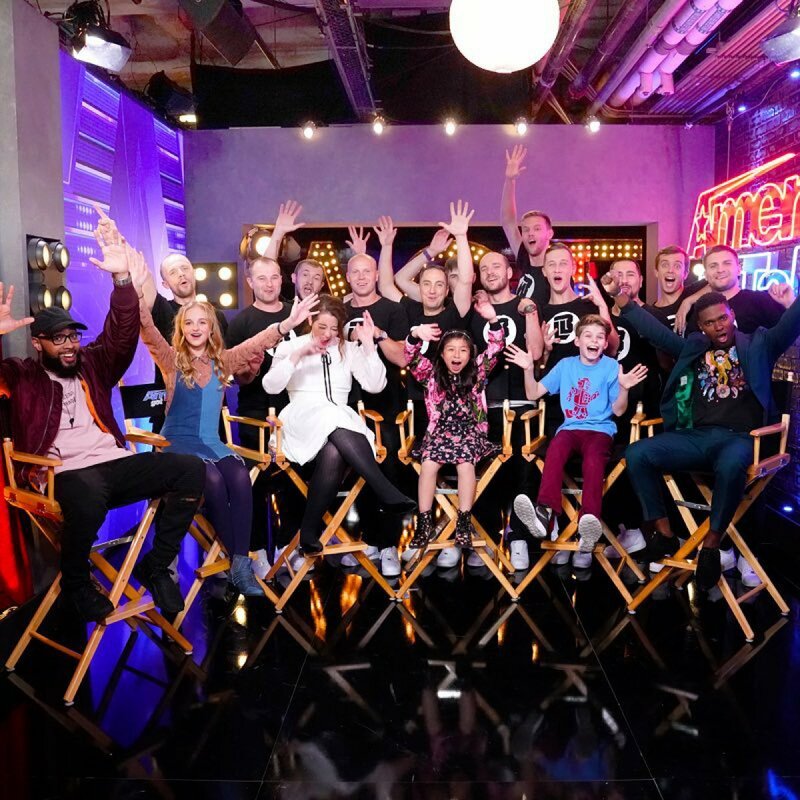 America's Got Talent revealed the second group of seven twelfth-season semifinalist acts following Tuesday night's episode in which 12 quarterfinalist acts performed for home viewer votes. Celine Tam, a nine-year-old powerhouse singer from Hong Kong; Merrick Hanna, a 12-year-old robotic dancer; Johnny Manuel, a 32-year-old singer; Light Balance, a glowing dance crew; and Mandy Harvey, a 29-year-old deaf singer and songwriter, were revealed to have finished as the Top 5 votegetters following Tuesday night's performance show, automatically earning them a spot in America's Got Talent's Season 12 semifinals. The four lowest votegetters immediately sent packing were Brobots & Mandriodz, a hip-hop crew; Pompeyo Family, a circus act with dogs; Demian Aditya, a 36-year-old escape artist; and Mirror Image, 16-year-old male twin singers and dancers. The three remaining acts -- The Masqueraders, a trio of male singers in their seventies; Eric Jones, a 36-year-old magician; and Evie Clair, a 13-year-old singer -- finished in sixth, seventh or eighth place, and were therefore at the mercy of America's live vote and the judges. The "Dunkin' Save," which allows home viewers a 30-minute window to vote for their favorite act, eventually saved Evie from elimination. America's Got Talent judges Heidi Klum, Howie Mandel, Melanie "Mel B" Brown, and Simon Cowell then had to determine whether they'd like to see The Masqueraders or Eric move forward in the competition. Heidi picked The Masqueraders because she said they've been waiting for their moment to shine for so long and deserve to have that moment now. Mel B agreed with Heidi, but she picked Eric to advance since his magic is "flawless" and she believes it every time she sees his act. Simon revealed that he liked The Masqueraders even more than Eric because -- even though the group's performance wasn't stellar the night prior -- they really deserve to have a shot. Simon said he knows what the group of singers is capable of. And last but not least, Howie admitted it was "the worst decision" to make, but went with Eric as his choice of semifinalist. Due to the tiebreaker, America's Got Talent host Tyra Banks announced which act had received more votes from Tuesday night's performance show, and that person was Eric. The Masqueraders were eliminated from AGT as a result. America's Got Talent will return Tuesday, August 29 with another set of 12 quarterfinalists competing for one of seven spot in the Season 12 semifinals. Those acts will be Danell Daymon & Greater Works, Junior & Emily Alabi, Chase Goehring, Diavolo, Angelina Green, Colin Cloud, Oskar & Gaspar, Oscar Hernandez, Kechi Okwuchi, Sara & Hero, and Mike Yung. 'Dancing with the Stars' Season 25 professional partners announced by ABC, Mark Ballas returns!